Inyathelo hosted a peer learning session that allowed for shared learnings on the challenges that can be faced while starting up an organisation. Nicci Giles from the FunDza Literacy Trust facilitated the session and shared some of the lessons they have learnt since inception. FunDza is a young and innovative NPO, improving teen literacy by popularising reading and building a community of readers and young writers, using mobile phones as a platform. Important in starting up an organisation is recognising your need for existence – why do you exist? What would a world that does not have your organisation look like? For FunDza, it was realising that people were not reading enough, and the question they needed to answer before establishing their raison d’etre was what stops people reading – is it content or access? The key was in having a very good grasp of what was happening on a sectorial level and from there, the answers to those questions began to formulate their need to provide more opportunities for reading, and who their beneficiary base would be. From the onset, it was important to establish values, which would be the guide to how objectives are set, and from where an organisational culture would eventually grow. The underlying value was that they needed to make meaning before money, which in turn informed the ethics under which they would conduct their work, and the spirit in which this work could be achieved. Through the sharing of their story, FunDza managed to show their own culture as an organisation: hardworking and determined, excellent on follow through and willingness to try different approaches. Your work speaks – so always ensure that your brand is recognisable and that it instils positivity and trust in the people with who you work. FunDza’s unique selling point is their ability to provide meaningful content and access via technology. Knowing the need they wanted to address and the beneficiary base they wanted to target allowed FunDza the opportunity to capitalise on a moment in the development curve while speaking to the larger problem of illiteracy faced by the country. FunDza’s vision to popularise reading among the youth keeps them in tune with who they have chosen as their beneficiaries. Having established that they want to boost the literacy of teens and young adults, through popularising reading, they are able to create activities and programmes around this beneficiary base. The extent of their reach shows that they are considerate and constantly looking for ways to expand this base – a huge plus. The importance of having a functional board cannot be stated enough. An organisation needs a board that is prepared to champion the organisation, a board that knows what it is doing and one that keeps the organisation working to achieve its mission. A good blend of passion, commitment and skills is imperative. A strong emphasis on building relationships, staying in the know about funding sources, picking up clues and following up and on certain leads ensures consistent support for the work that your organisation is doing. Always explore new avenues of support such as referrals and be aware of what else may be happening in the sector on tradition and social media – much can be learnt from online conversations if you are strategic about the networks align yourself with. Continued engagement with supporters and demonstrating action encourages trust in your organisation. There are ways to tailor your approaches so that relationships are carefully cultivated. Careful research should inform smarter approaches to building relationships and eventually securing the support you need. Note, it is also quite possible that you attract support that does not match your organisational need – sometimes you have to learn to say no to donors where there is a mismatch of a donor’s case for giving and your organisation’s case for support. Avoid mission drift. Always be conscious of why you exist; whatever you do as an organisation – no matter the growth – should link back to your mission. 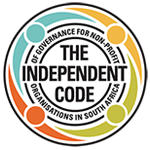 Keeping founding documents is a good way that organisations can continually revisit, revise and keep the current work in line with the organisation’s reason for existence, while staying relevant with the factors impacting the sector. Institutional memory should be seen as key to organisational sustainability. There are tools that can be used to assist in building this memory and examples for start-up organisations or those operating on zero budget include Salesforce, Dropbox, Mailchimp, prezi, media, site hosting, etc. It is important to keep a record of founding documents; find practical ways to store your data as it will inform (internal and external) key messaging. It is important to be able to tell the story of the work that you do. FunDza have managed to make use of story-telling, know their organisational biography, use key statistics that speak to the sector they work in and know how to locate their work. A combination of facts and programmatic efforts enrich and anchor the story whilst building credibility. Being able to tell your story in a way that is authentic and compelling, whether in presentation mode, on paper, via social media, or in a case for support is a sure way of building interest as well as a committed following. 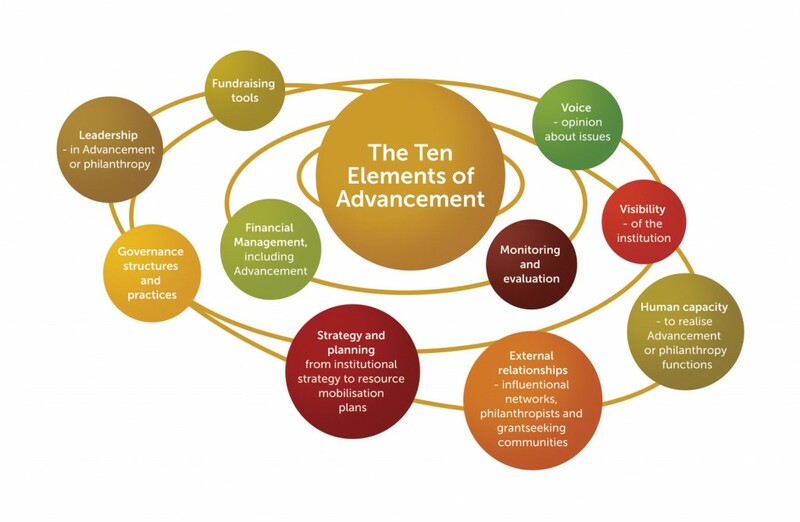 PreviousWhat is the Advancement Concept of Alumni Relations?